All foreign business owners need to face the complete different culture in China and the way to do business. In the last 5 years, we’d helped many overseas businesses enter into the China market. Market research is an important part of your preparation and business planning. Do not reinvent the wheels. Is it legal in China? Forget it if it is illegal in China. Typical example is the gambling business. Is it open to foreign investment? It is essential to learn about the evolution of your industry in the China market. Many key sectors welcome foreign investors in China. if it is not open yet, you need to wait and you could be the first on the market when it is open. 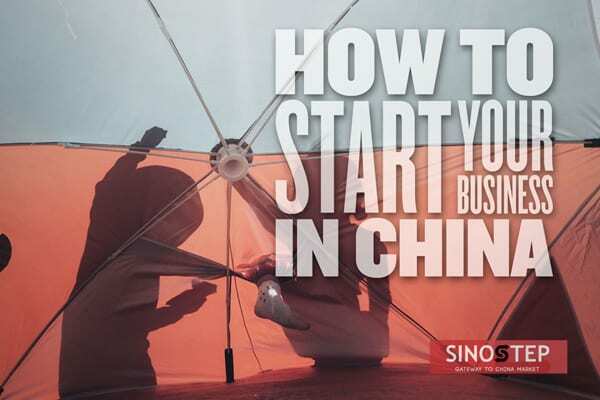 Talk to people who have already set up their businesses in China. Ask them questions about their successful experiences and lessons learned. You will be amazed at the stories they tell you since doing business in China is totally different from that in western countries. The best way to understand the market is to study your competitors. You will learn from them to know where they are? How it looks like? What are their positioning? What is their pricing? How do they deliver the message to the market? etc. The answers can help you shape your business plan and influence your initial decision making on products, marketing, pricing and your target audience. Buy an air ticket to China and take travels to see for yourself. You can visit potential partners, visit your competitors as a customer:), attend trade shows or conferences, and start networking in China. Talk to your potential customers, government officials, etc. and understand what they really want. FAQ: How to conduct an effective research in China? It is important to understand the China City Tiers before you make the choice of location and market prioritization. The whole Chinese market is quite unbalanced. Generally speaking, 1st Tier cities like Shanghai, Beijing and Shenzhen, are the first choice to put your headquarters in thanks to the convenient transportation, availability of talents. You also need to consider various factors such as cost of living, government policies, etc. it shall be more about the consideration on the specific industry. Once you determined the place to start, you can look for the office space through a realtor, you’ll need proof of a lease to register your business in China. Before the business registration in China, you need to determine the type of business entity. Representative offices are an low-cost and easy way to go, but what you can do is very limited so you cannot deliver any services or products. When there are more options which are not that difficult, most business owners do not tend to choose this. A joint venture is a partnership between a foreign business owner and a Chinese citizen. The success requires the mutual trust between the foreign business owner and the Chinese partner. The most common type of entity is a wholly foreign owned enterprise (WFOE). Nowadays it is the choice of most foreign investment thanks to the full control of the business. A WFOE is becoming easier to register than before, however, it is still quite complicated and takes more time to get approval from the government. This is not a must, however, for small to medium companies, a good and trustworthy Chinese partner will facilitate a lot of things for the business in China. It is a culture where relationships are more important than contracts. You need this kind of relationship to start your business in China. Find a local representative or consulting agency to register your business in China. It will help you free from unexpected troubles and numerous questions you will face. There are many such service providers in the market. The smart way is to get introduced to the reputable company. You can also find solutions for your taxation, legal issues, accounting, bank account setup, recruitment, payroll arrangement, and customs clearance etc. Develop a detailed business plan, and make your business scope as broad as possible. It is wise to make a five-year plan and tailor it to be in accordance with China’s policy trend. Make it specific to include your location, projected revenues, product or service description, expected number of employees and budget requirements. This is also why you need the help from your local representative. Get a Chinese name for your business. It is easier for your to build the brand image with a good name. I strongly advise you to find some Chinese naming professionals to do this job. If you already have name candidates, you can do Chinese brand name evaluation to analyze them. Intellectual property violations shall be one of your top concerns in China. Since it is often repeated in the company registration name process, you need to prepare several company registration names. The registration name is fine to be different from your formal brand name. Prepare in advance and save your time. In China, the first person to register a trademark owns the rights to it, no matter whether that person is the first one to use the trademark. Is your domain is easy for Chinese users to remember? Many business owners made a mistake to provide an awkward domain name in the China market. Your target Chinese customer will never remember the domain name. Every month I will get several requests to provide Chinese domain name ideas. Do you plan to use a Chinese .cn domain? You can register a .cn domain as a protection for your existing brand. You may find some good .cn names while the relevant .com is sold. Many companies will register all the .cn or .com.cn domain names similar to their original .com domain name. Earlier I thought It could be registered only in China. Now it seems more easier. There are many registrars that you can buy a .cn domain. Some of my clients told me they register their .cn domains in companies like Marcaria.com. Is Chinese .cn domain a must? No, you can also use your .com domain or other names. Still confused? You are always welcome to find a professional solution from us. The same applies to social media account, such as weibo, wechat etc. Prepare your documents and get help from your local representative. For each license you apply for, there will be quite a long list for the documents, sometimes the government will ask for additional materials, Quick actions will win yourself more time. The policy varies in different places, so confirmation before you are ready is quite necessary. Also make sure you get all the necessary licenses for your business, it is different for different industries. It is normally quick and easy. make sure you can easily communicate with the bank or have someone responsible for this. You can work with some freelancers to work on your tasks occasionally in the beginning. When you officially start your operation in China, you need to hire full-time employees. Communication is often the biggest issue in practices. That is why language skills are important to consider above all. Trust the professional recruitment agencies to find the suitable candidates for you. Just like anywhere else, good talents are not cheap. Be ready to pay what they deserves. Do not trust the online statistics of average salaries of Chinese, get more hints from your friends and recruitment agencies. You need to learn how much you should pay for the social welfare in China, it is not an amount you could ignore. Once you have your first reliable managers on position, they will be able to help you hire the rest of employees. It is a common practice to have a Chinese website if you run a business in China. Design your own Chinese website, or localize your existing English website in a professional way. To make the site faster, apply for a web license and host the site in China. With Chinese payment gateway integrated, you can also sell your product or service directly through your website. Make full use of Chinese SEO, PPC, social media marketing to lead more traffic to your website and increase your online visibility. Your sales channels are quite different depending on your China market entry strategy. Some rely on online sales, some are through telephone sales, some are through China local distribution network. You can put your products on eCommerce platforms, such as Tmall, JD, YHD etc, as well as your official web store. At last, wish you success in your new business in China. Cheng Chao has extensive expertise in China market entry, global translation & localization, cross-border business development, and global digital marketing. Chao founded ChineseTrans, where he led a team of senior linguists to establish ChineseTrans as the market leader in professional Chinese translation services. Since 2011, Chao has served as the managing director of SinoStep, a consulting agency helping foreign investment enter into the China market. Backed up with a strong team of China business consultants experienced in different sectors, Chao has successfully introduced dozens of overseas brands into the China market, established their operations in China on early stage and adapted their businesses to the China market.